The troubled actress is owed $1,559.80 by the state of California. The funds, which are unclaimed wages, were turned over to the state by GEP ATL, LLC and GEPNTV, LLC and are listed in the actress's name courtesy of Artists Agency. LL Rocks Inc., a N.Y.-based company incorporated under the name of Lohan's mother Dina Lohan, is also listed as an owner for the funds. 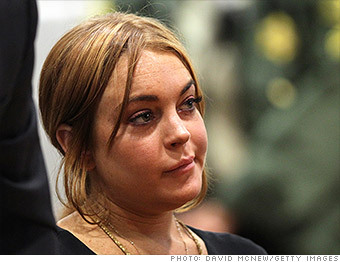 Lohan's cash represents a tiny slice of the more than $6.1 billion held in California's state coffers. Collectively, all 50 states hold $41.7 billion in unclaimed cash and benefits, including abandoned bank accounts and stock holdings, unclaimed life insurance payouts and forgotten pension benefits.